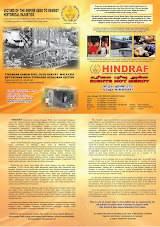 HIndraf Makkal Shakti: PM Najib: “Indians not excited about ETP”. Because even Tamil daily advert is Malay muslim Kedai Runcit transforming into Mini Market. PM Najib: “Indians not excited about ETP”. Because even Tamil daily advert is Malay muslim Kedai Runcit transforming into Mini Market. It is so plain and obvious that UMNO cannot even show a single photo of even one Indian Kedai Runcit that has transformed into a Mini Market in what is otherwise Prime Minister Najib Razak’s One Malay-sian Economic transformation Programme. What more all other aspects of economic transformation programmes of especially for the Indian poor which in practice is almost zero save and except for the usual kosong wayang kulit ayam telur sebiji rioh sekampung kosong propaganda using the Indian mandores.